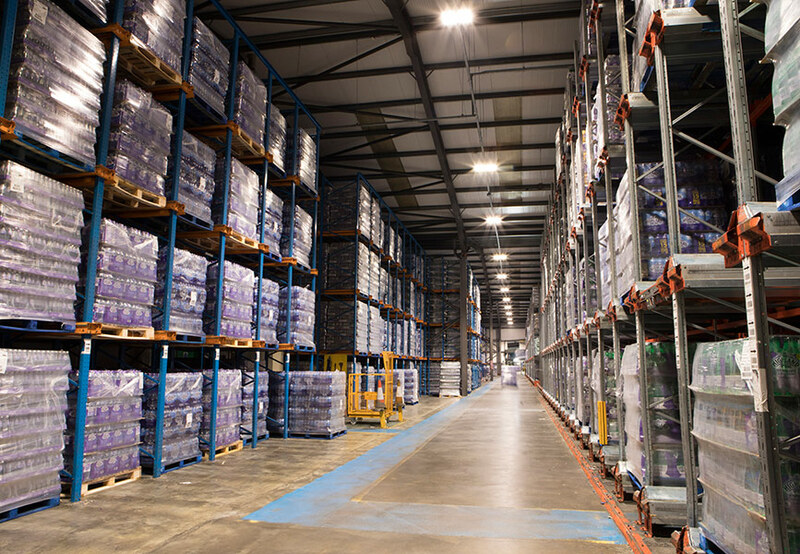 The prominent Scottish bottled water supplier has recently implemented a Tamlite Lighting solution at its warehouse in Blackford, Perthshire, enhancing energy efficiency and worker wellbeing. 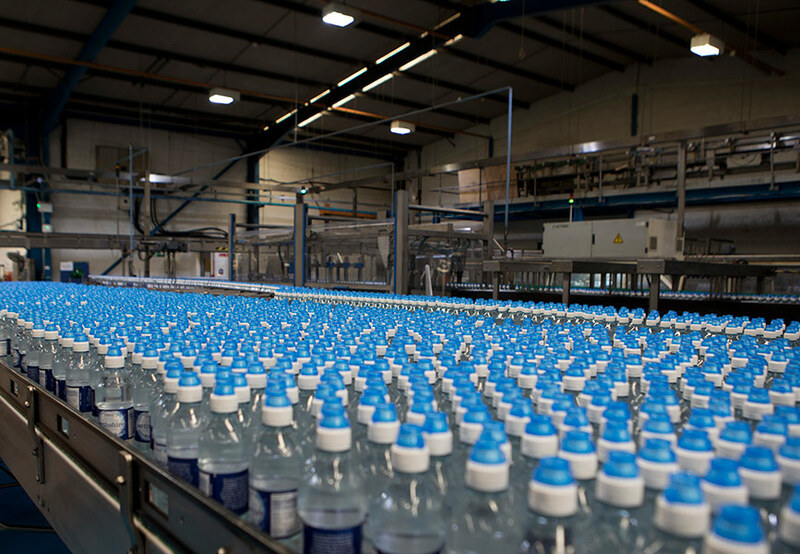 Established in 1979, Highland Spring Group (HSG) has consistently been one of the UK's most successful suppliers of bottled water. It operates and maintains factories and warehouses in Blackford, Perthshire and has had a long-standing commitment to maintaining facilities that incorporate the latest and most user-friendly technologies. This emphasis recently led to a review of the lighting provision at the warehouse in Blackford, where storage and dispatch of the finished bottled water product takes place. A legacy system of low-bay SONs in various areas of the warehouse had proven itself to be inadequate on several levels. In some spaces light levels were as low as 20 lux, whilst the 'warm up time' of nearly 10 minutes for the fixtures was having a negative effect on productivity and general navigation. It was also envisaged that this could lead to serious problems in the event of an extended power outage. The issues with the existing system had been commented upon by managers and employees alike, so HSG invited John McCormick at BFE Electrical to investigate a replacement specification based around high-efficiency, high-output LED products. 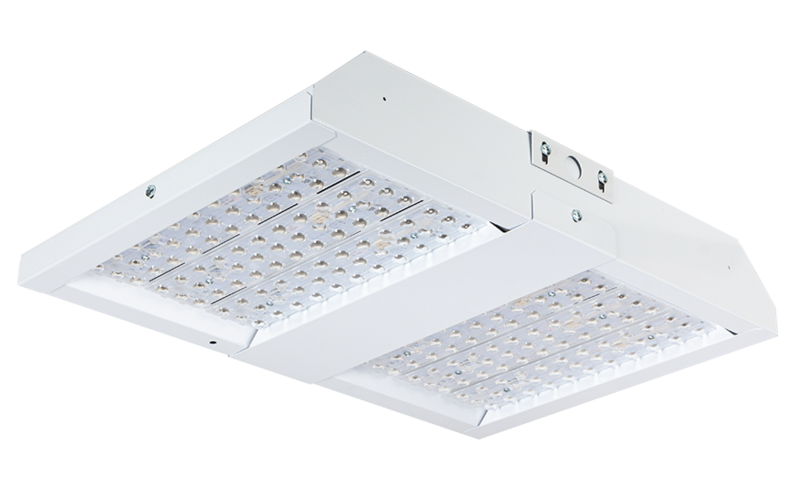 Having regularly selected Tamlite Lighting LEDs for all manner of industrial projects, McCormick soon determined that the Redditch-based manufacturer was best-positioned to supply a suitable solution. A popular choice for industrial, warehousing and sports hall facilities, the EXPO LED low bays offer a great deal of flexibility for different applications with a mounting height of up to 20m. 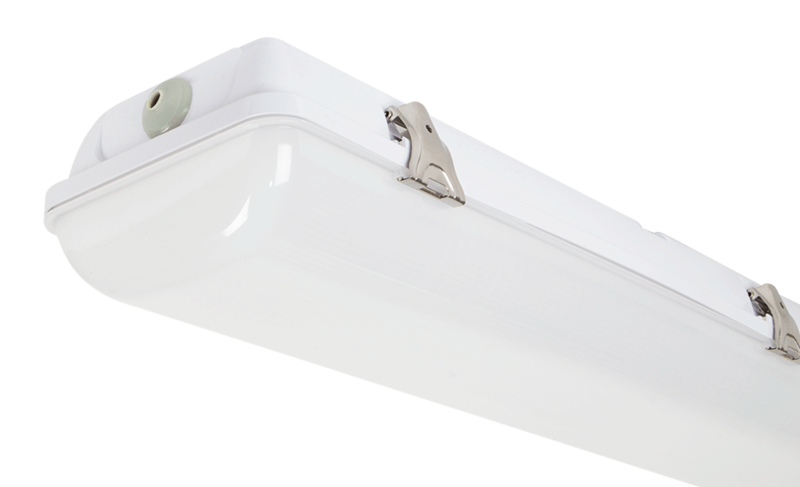 Featuring a high-performance optical array and in-house LED boards, EXPO delivers: a high-output LED low bay; Emergency and VISION control options; CRI: Ra>80; up to 150 lumens per Watt efficacy; and 50,000 hours' lifetime all designed and built within the U.K.
Energy savings of up to 60% are typically possible with the EXPO fixtures, meaning that Highland Spring will enjoy significantly lower energy bills in the future. The company will also see a reduction in maintenance costs, as the LEDs last much longer and will therefore need to be replaced every five years at most. By reducing the likelihood of accidents and lowering visible glare, worker wellbeing can be significantly improved. Boosting worker wellbeing can also have demonstrable benefits in terms of productivity, which is a kay outcome for an industry-leading company such as Highland Spring. 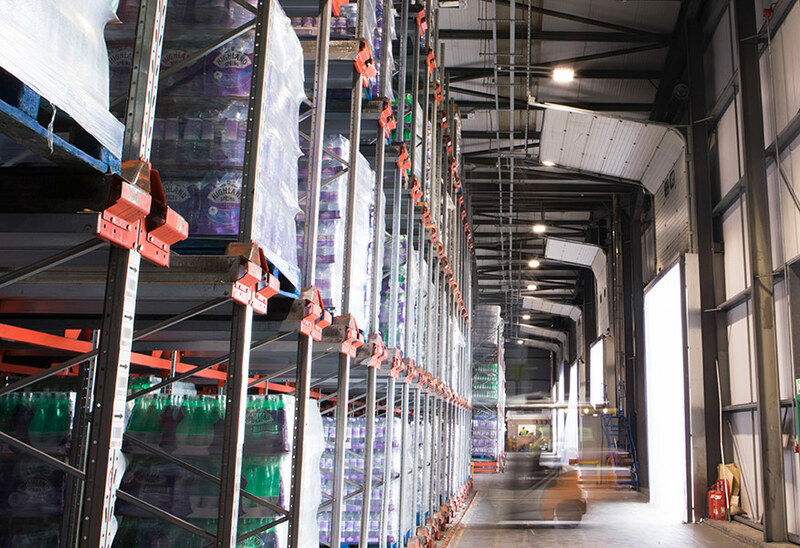 More generally, the new system has made a ''dramatic difference'' to the quality of lighting throughout the warehouse. It is now crisp, clear and a pleasant daylight colour - improving not only the general working conditions, but also giving the space a welcome fresh look and feel. The improvement has been widely remarked upon by staff - ''personnel seem happier thanks to the enhanced lighting quality,'' says Mr. Simpson. 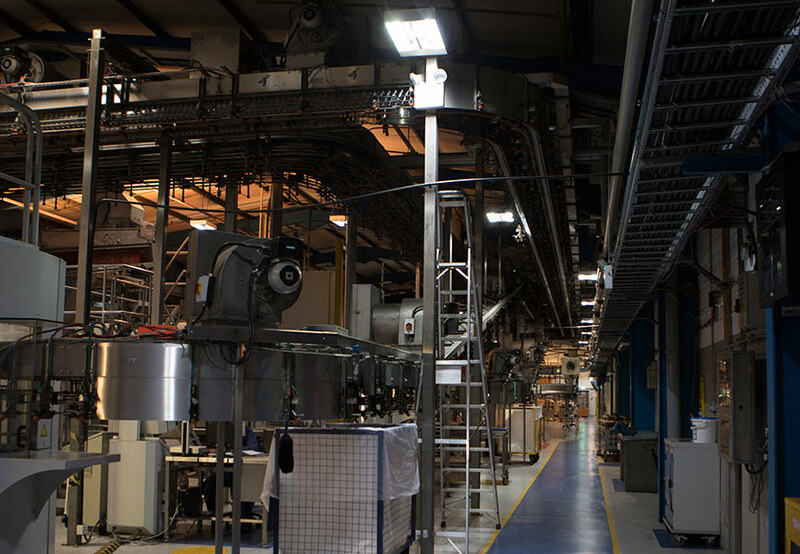 ''We are so pleased with the new lighting that we are currently in the process of upgrading other areas of the site with Tamlite LED lighting, including the bottling and production rooms,'' says Mr. Simpson.